For as long as I can remember, my wife and I have searched for escapes from the mundane. 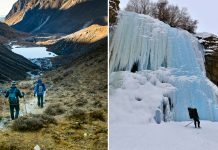 Living in the UK meant that we were always looking for holidays that would pamper us and treat us like individuals with unique tastes. And so, we travelled far and wide to find experiences that would allow us to relish a slower pace of life. We ended up being drawn to boutique properties, as they had a human aspect to them that was missing from the large chains. 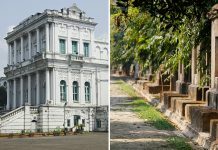 These explorations took us to far-flung places like Terengganu in Malaysia, the foothills of the Himalayas where the spa changing rooms have glazed views of the majestic mountains, the southern parts of India where your aches disappear under the firm hand of Ayurveda, and the Caribbean islands. After we moved to India, the need to reach a state of bliss where all the knots and stresses of daily life would be pounded carefully out of us became even more pressing. While the UK was physically exhausting, India was mentally tiring, and the need to be lulled into a higher state came with an added desire for meditative silence. Again, these demands seemed attainable only at boutique properties that shied away from the mass attractions and the gimmicky trappings that many chains employ to draw you in. Furthermore, the level of care and hospitality offered in the East seemed to suit us more than the efficient business-like attitude of the West. 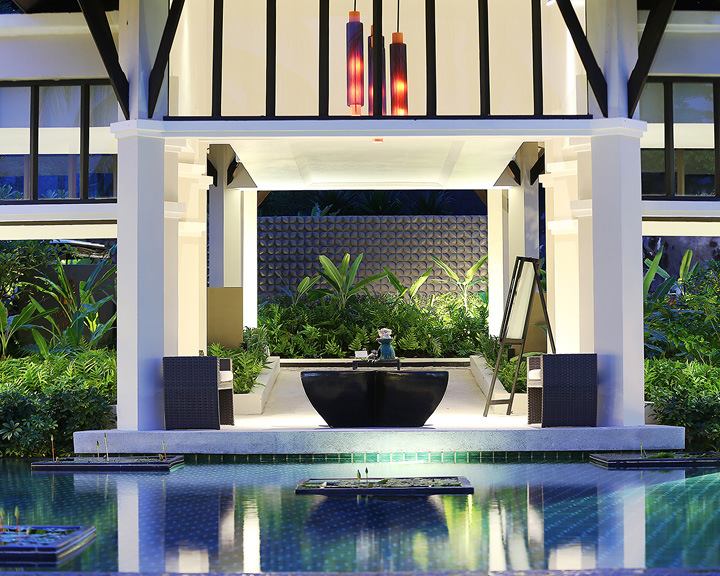 Since then, we have visited Thailand many times; it’s the perfect destination to seek out boutique hotels and spas. After all, it is the home of one of the most popular spa treatments. However, much like the Thai massage, Thailand has become a bit of a cliché among Indians. The country is sought out more for its parties than its R&R. I have always felt that the Thai people, however gracious they may seem, are actually extremely unhappy at having to rely on tourists. Through gritted teeth, they tolerate us while secretly cursing under those warm, welcoming smiles. I don’t blame them; the power of foreign currency brought into Thailand has resulted in some unpleasant tourism trends and created a subversive sub-culture that no one would like on their doorstep. 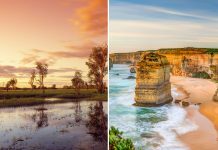 Yet it must be put up with since tourism brings in reportedly 19 percent of the country’s GDP, conservatively speaking. 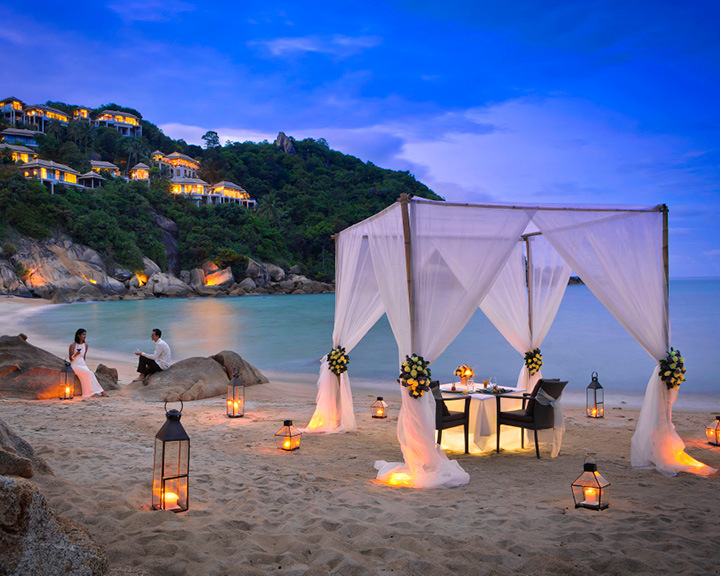 The tourist demand has given rise to a large number of wannabe luxury hotels in Thailand. Cheap properties and ambiguous party residences also tend to lay claim to the tag of boutique hotels. So much so that the word ‘boutique’ has become an excuse for high nightly charges and poor service. These places suffer from a complex that they are not five-star hotels, and many feel that offering a massage in a shack on the beach equates to a luxury spa experience. The truth is that they are no more than glorified B&B’s. The luxurious havens celebrating the culture and history of Thailand are fewer and far between. What makes a boutique hotel? Basing it on what I have read and experienced, I came up with my own eligibility criteria: 1) intimacy—the property should have between 10 and 100 rooms; 2) uniqueness—they should not feel run of- the-mill; 3) scheme—they should be luxurious and have an independent personality that reflects the local culture; 4) location—they are off the tourist track or hidden in plain sight; 5) service—should be highly personalised; 6) cuisine—should be authentic; 7) clientele—the hotel should attract people who expect luxury and have unique tastes; and 8) spa—though not a deal breaker, but for us a major priority. 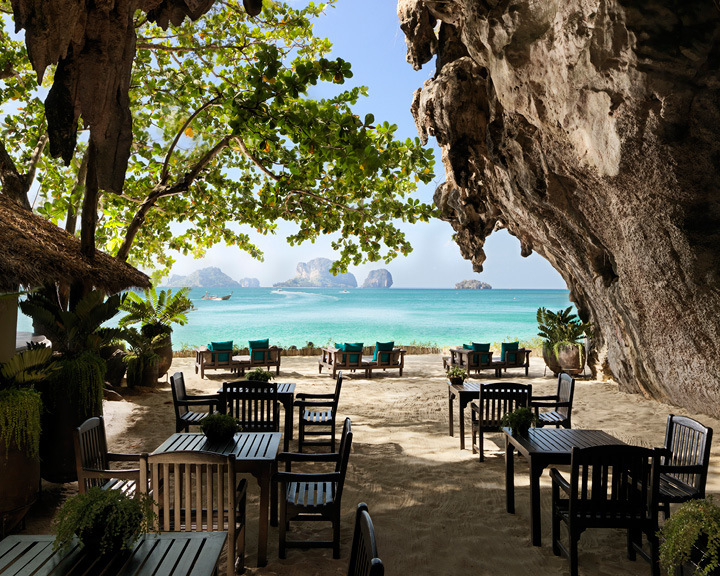 Taking these into account, we recently booked two hotels in Thailand: The Banyan Tree Samui and Rayavadee in Krabi. Retreat to tropical splendour for your next getaway and save 38% when you book a minimum 3-night stay!⠀⠀ ⠀⠀ Click the link in our bio to learn more about our International Women's Day Special offer!⠀ ⠀⠀ Valid for bookings within 15 March, 2019 and stays within 30 June, 2019. Blackout dates apply. This offer is non-cancellable and a full non-refundable deposit is required. The Banyan Tree Samui is perched on a rain-forest covered cliff, which overlooks the crystal blue waters of the Gulf of Thailand. The roads to its 88 seemingly precariously balanced villas snake up and down the hillside. The very nature of the terrain encourages privacy, and the villa concept attracts well-healed families who want to reconnect with each other and nature. The villas are spacious and boast stunning views of the sea and the limitless horizon. One of the specialties of the hotel is the in-room private barbeque. In essence, they set up a mini restaurant on your deck so that you dine under the stars. The privacy also allows for in-villa spa treatments. But that means you might miss out on a truly unique experience at their sanctuary for the senses. The property’s spa centres on hydrotherapy—the Banyan Tree has combined signature spa treatments with state-of-the-art hydro-thermal facilities. 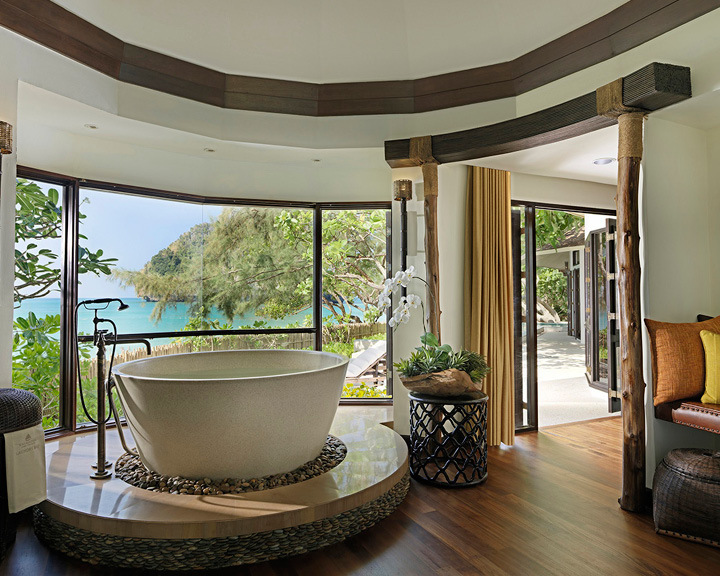 A rain-forest theme suits the location, and invigorating hydro-thermal experiences have been infused into the traditional Asian wellness philosophy. Similarly, Rayavadee is located within an area of outstanding beauty. Arriving at Rayavadee is almost like a scene from Avatar. You enter a small, secluded bay with towering cliffs that rise out of the water like the floating cliffs of Pandora, the coastline teeming with flora and fauna. As you enter the unspoiled scenery, you are immersed in a feeling of tranquillity and well-being. The hotel is nestled on a narrow strip of land between majestic mountains, with beaches on either end of the resort. The villas with their rotund shapes are designed so as not to disturb the natural ecosystem of the region. The spa at Rayavadee is located in the heart of the resort, surrounded by a lily pond. In many ways, it adheres to all the stereotypes of a spa, but the treatments are unqiue as they draw on ancient Thai healing traditions, which, when combined with the unique location, help rejuvenate the mind and body. 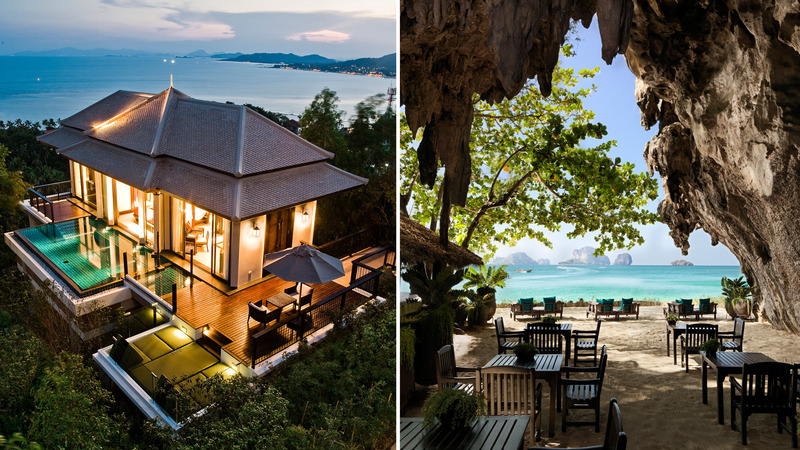 These two boutique hotels show that while there will always be a demand for party destinations, a country like Thailand can cleverly balance its rave offerings with bespoke hospitality, and create unique experiences that showcase the country and its culture in a way that only a boutique hotel can.